It’s 11 p.m. in Downtown Crossing — a night so cold it punishes every bit of exposed skin. Boston Mayor Marty Walsh leans down to speak to a woman huddled in a corner outside a store. “Why don’t you come in? It’s too cold tonight.” A few blocks away, she can find shelter at the New England Center and Home for Veterans. This reluctance to accept help presents a common predicament for the 300 or so volunteers who are part of the city’s census of homeless people, which has taken place annually for the last 39 years. Jim Greene, the city’s point person on homelessness, has been doing the census for more than three decades. Wednesday night’s count, he says, was far and away the coldest count he’s experienced. “It’s gonna be 30 below,” he warns one person, adding that volunteers can take the person to a shelter in a van. The volunteers fanned out in teams across Boston — from Logan Airport to city parks and shelters — to count the number of people out on the streets.The results of the census are still being processed. Those individuals are just part of the more than 6,000 people dealing with homelessness in Boston. They’re either living on the streets, or in shelters and transitional housing. Hundreds are chronically homeless. 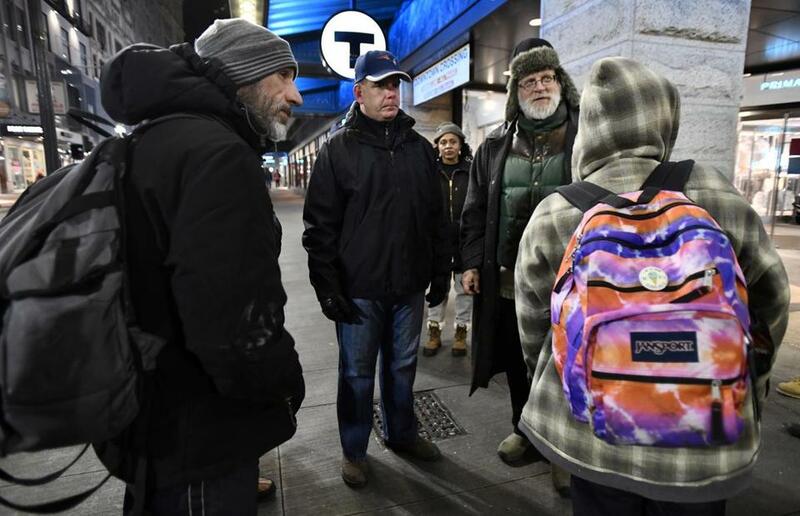 And, as WBUR previously reported, while the city has made many strides, it was unable to meet its ambitious goal of ending chronic homelessness by the end of last year.